Welcome to one of the most challenging AP courses available! 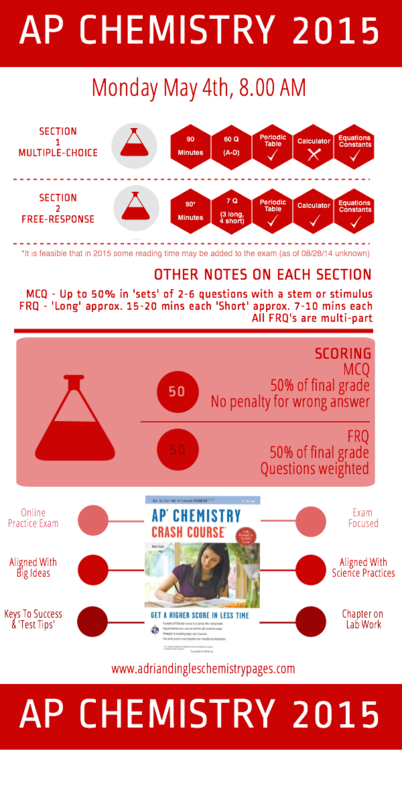 This year the College Board has completely overhauled the design of the AP Chemistry course. Consequently, the AP exam is also different and will pose some new challenges as we learn and adjust.